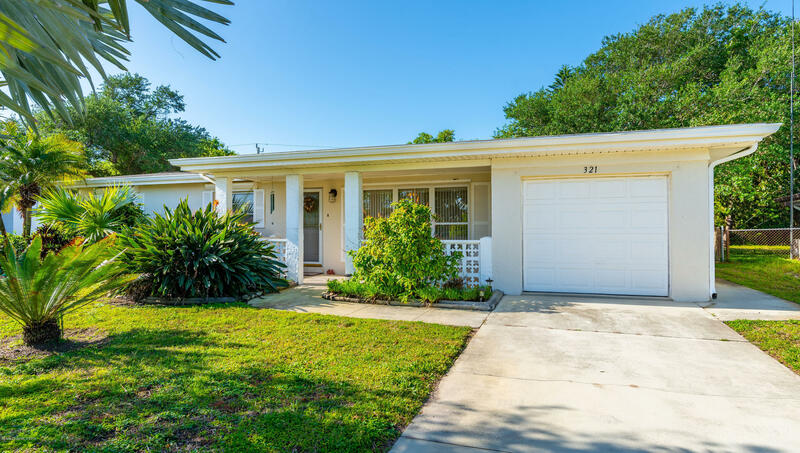 Located in sought after Harbor Heights, this charming three bedroom, two bath concrete block home, is just a short walk or bike ride to the beach. The home has a one car garage, a great laundry room with pantry space, polished terrazzo floors, a large screened back porch, storm shutters, a fenced back yard, a lily pond and beautiful tropical landscaping. The home is well maintained and nicely furnished.